Small businesses (those with limited revenue and between 1 – 500 employees) are now investing more money in digital marketing and less on traditional marketing. About three-quarters of today’s small businesses utilize social media to generate sales and share information about their brand. They recognize how it offers immediate value when it comes to increasing their traffic, generating more engagement, and improving revenue. Small businesses are always searching for new ways to draw attention to their products. Both digital and traditional (e.g. print, bill boards, direct mailings, flyers, TV, radio) marketing have distinct benefits for different types of businesses. For instance, a business can specify who sees their ads by distributing them to certain areas based on the demographics there. However, cost and timing have made this marketing less mainstream today as digital marketing happens immediately – with the click of a button. It also allows for more direct interaction with the targeted demographic who chooses what they want to see (click on). This voluntary engagement with an ad indicates an initial level of interest to a business who can see when and how often this happens. This makes it directly quantifiable. Another great benefit is it doesn’t require any long-term investment. You can quickly launch or stop a campaign if it doesn’t appeal to your audience. With so many channels to choose from, there’s plenty of freedom to experiment and find what works best for you. This is something your small business can’t afford to overlook since about 80% of Americans are shopping online today – just imagine what that number is like considering there are about 264 million Americans alive today. Although many small businesses are paying attention to social media, at the same time, many of them are overlooking SEO. In fact, only about half of them are utilizing it today. Unfortunately, this means that most small businesses don’t recognize how extremely valuable this form of digital marketing is for their business. Here’s something to think about: 5.6 billion Google searches occur daily. Over half of consumers polled say they prefer shopping online. Of this population, about 75% will scroll past the first page of results. This means that as long as you’re listed on one of the top 10 pages, you’ll have an opportunity to increase your business. Since this should be your goal, you don’t want to forego SEO for your website. Of course, Google isn’t the only search engine in existence today. As such, it shouldn’t be the only one you concentrate on. Instead, you’ll want to make sure you get listed on others like Bing too. As a small business you may understand the importance of things like SEO, but you may feel like you don’t have enough time to properly maintain such a campaign. Fortunately, you don’t have to do everything by yourself. You can outsource much of the work you don’t have the time or talent for. When choosing to outsource your SEO, make sure you outsource it to the Local SEO Tampa Company. 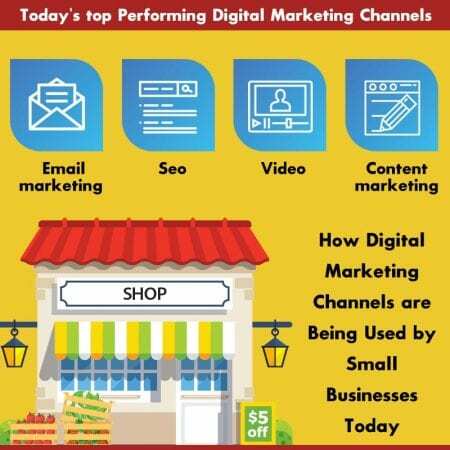 Over the years they’ve helped many small businesses successfully build and maintain digital marketing campaigns that have helped bring business to their doorsteps. Your small business deserves to be next so make sure you contact them today.